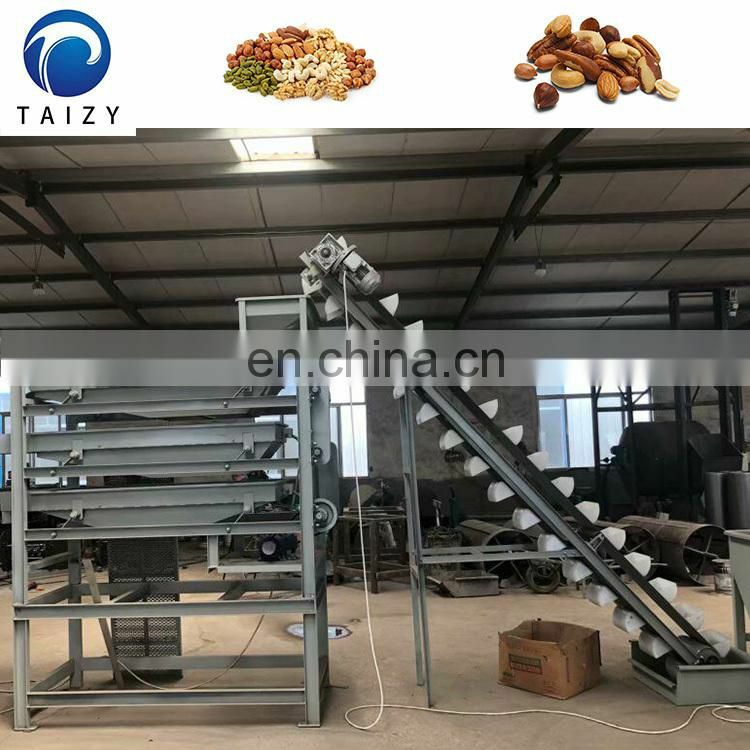 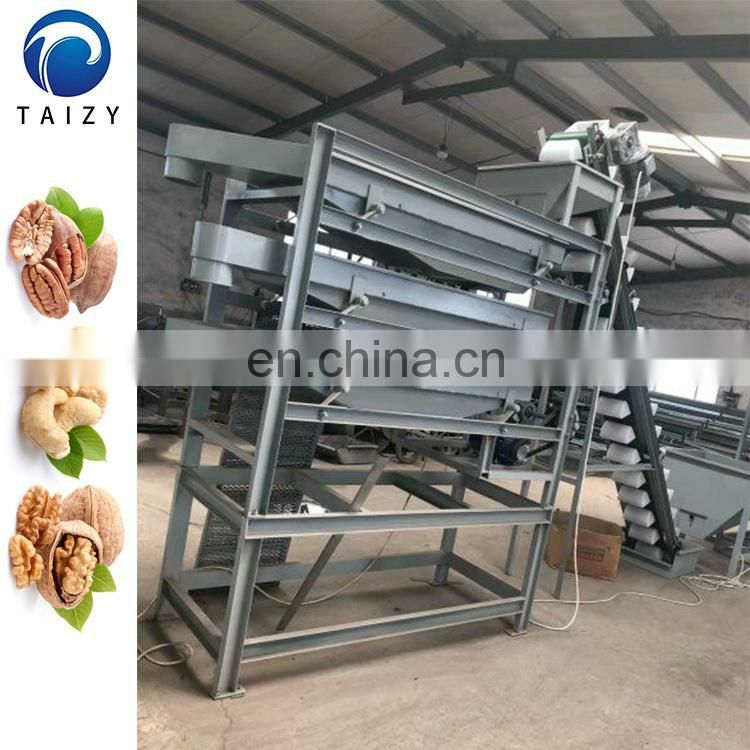 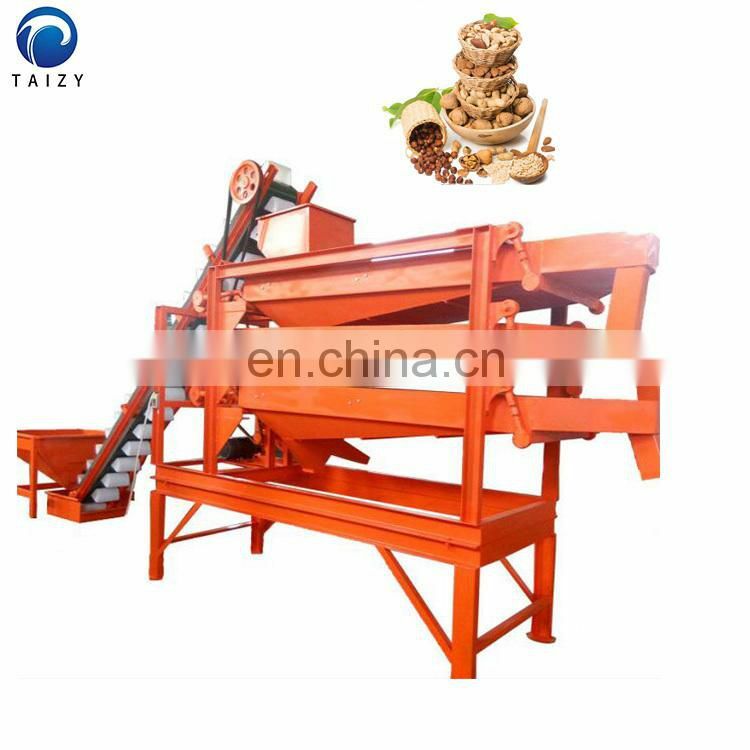 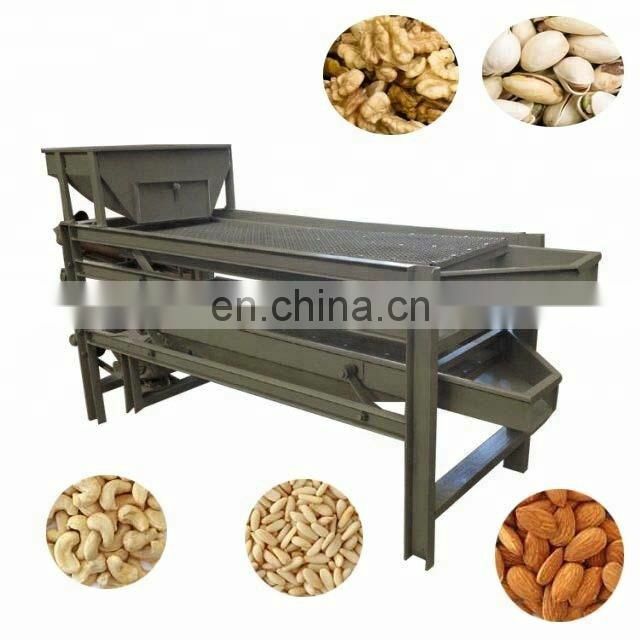 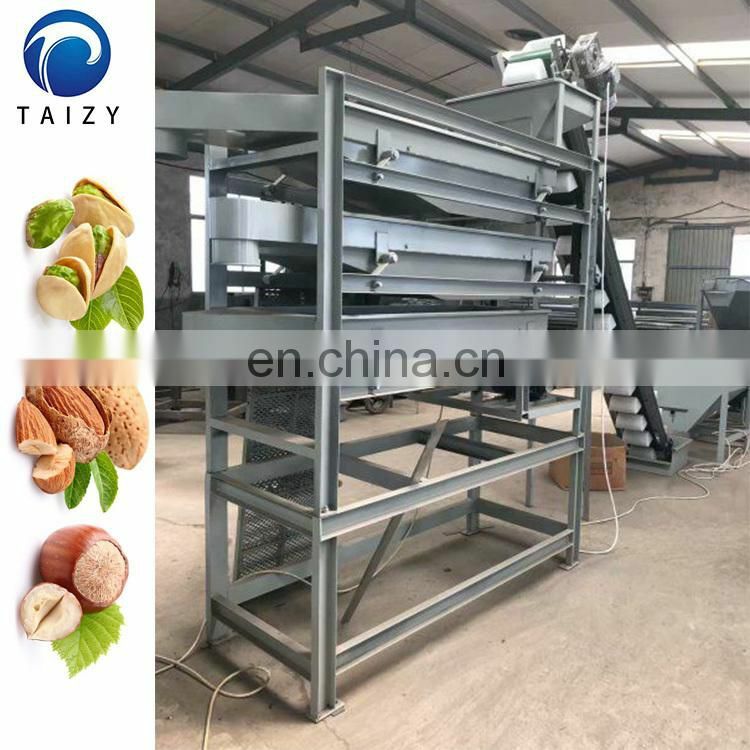 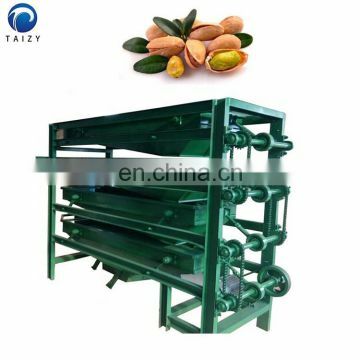 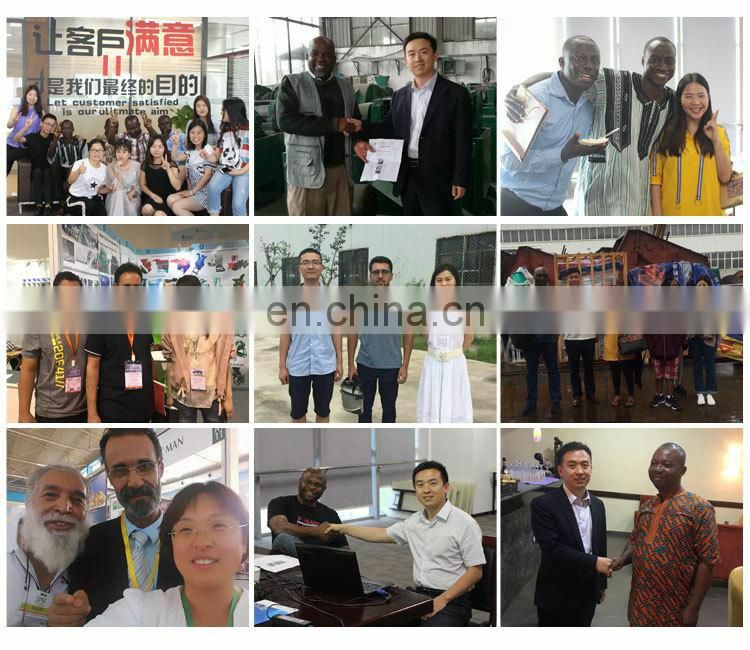 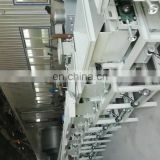 This machine can be used to grade nuts kernels by increasing the number of sieve layers.This nuts grading machine is also suitable for classifying almond kernels, hazelnut kernels, macadamia nuts, soybean, broad beans, etc.Vibrating screen separators can be equipped with 2-5 layers . 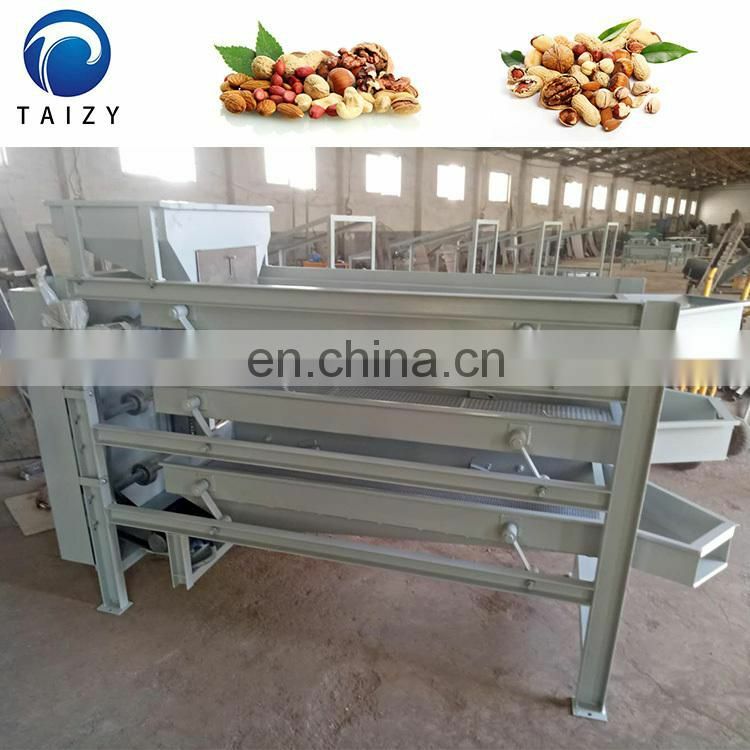 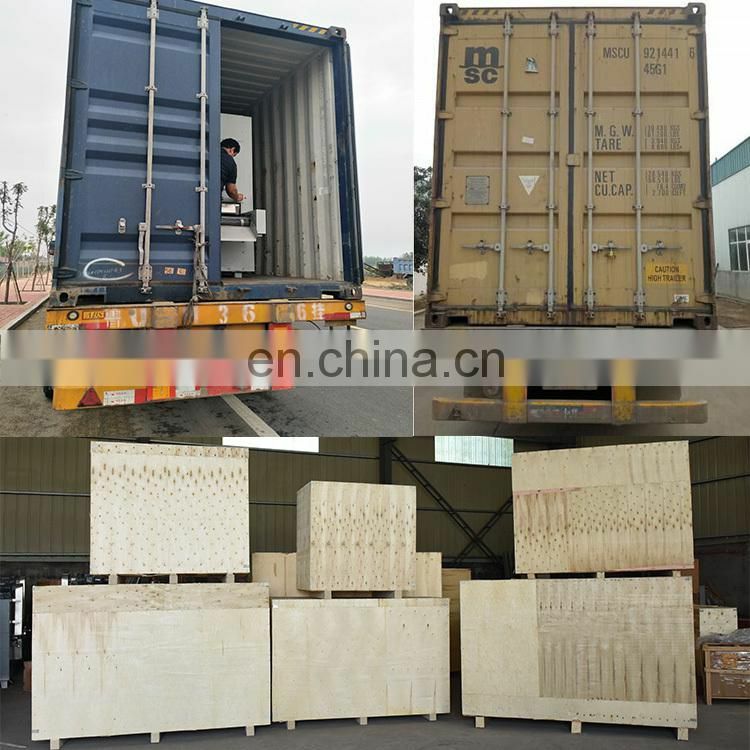 The vibrating screens of different specifications according to different purposes to achieve different screening purposes.Customers can also make specific requests and we offer the right model. 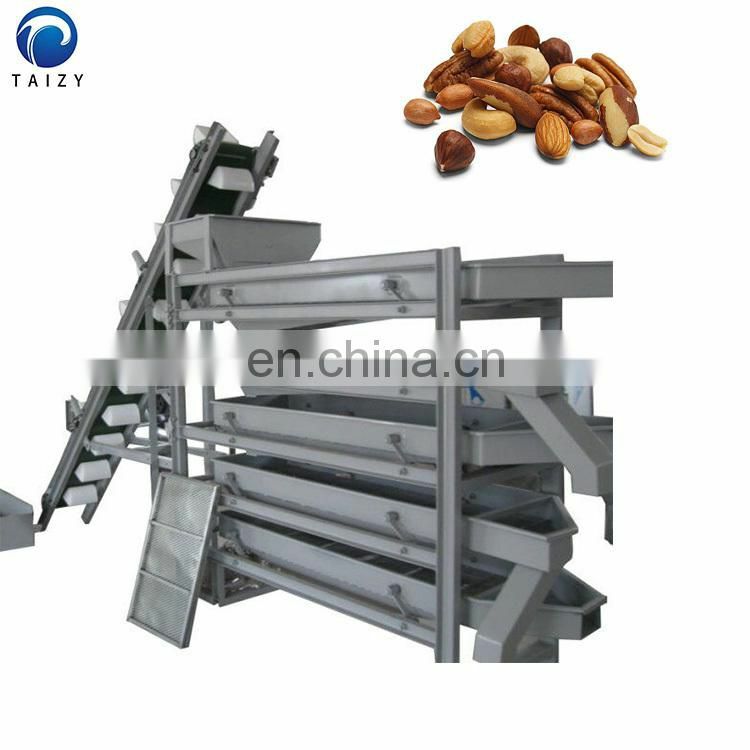 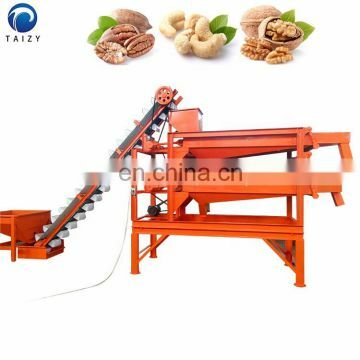 Nuts sieving machine consists of hopper, elevator, sieving machine, supporting base, kernels collector, etc. 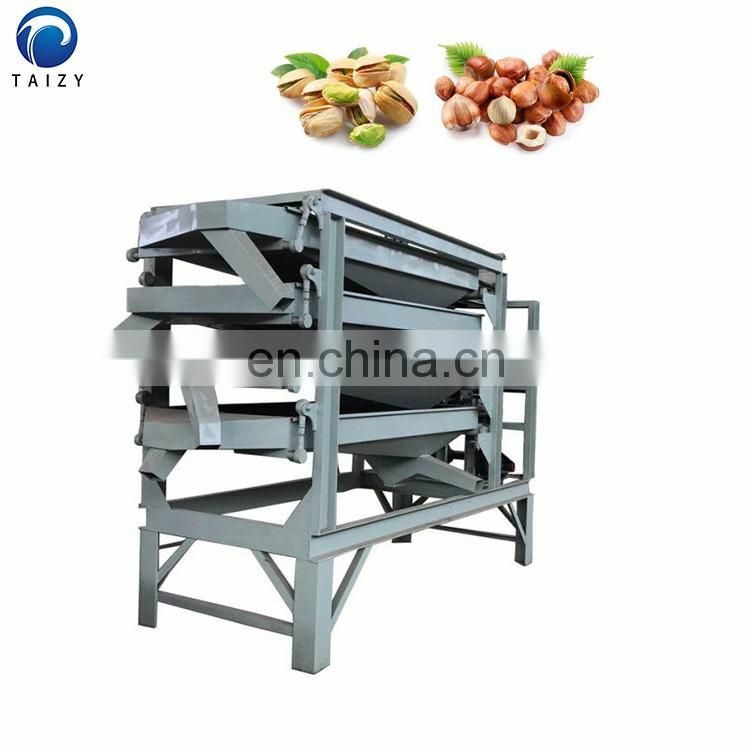 The nuts screening machine adopts chain wheel and chain to drive the pushrod, resulting in smooth reciprocating sieving of the sieving body. 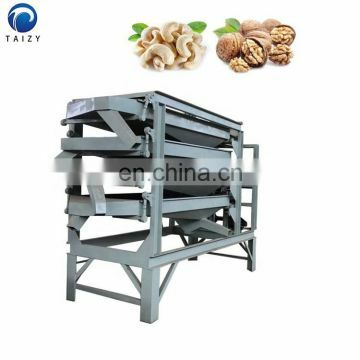 Nuts kernels are fed by vertical bucket elevator into the upper layer of screen body. 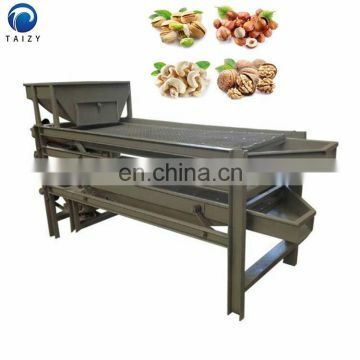 Under the shaking of the screen, nuts kernels are graded into 2-5 sizes. 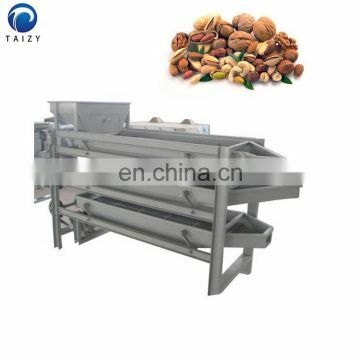 Larger sizes of kernels will come out from the upper outlet of the nuts grading machine. 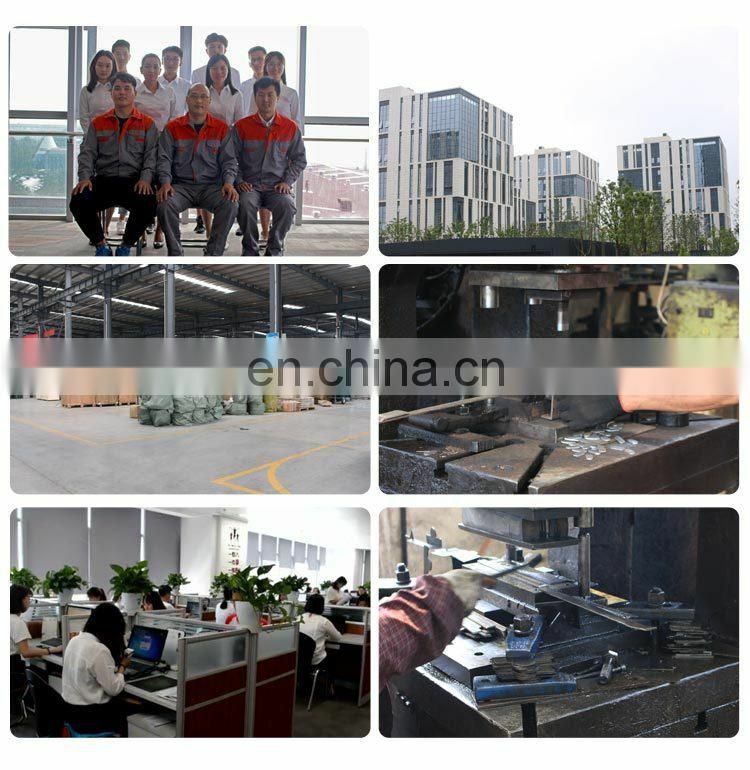 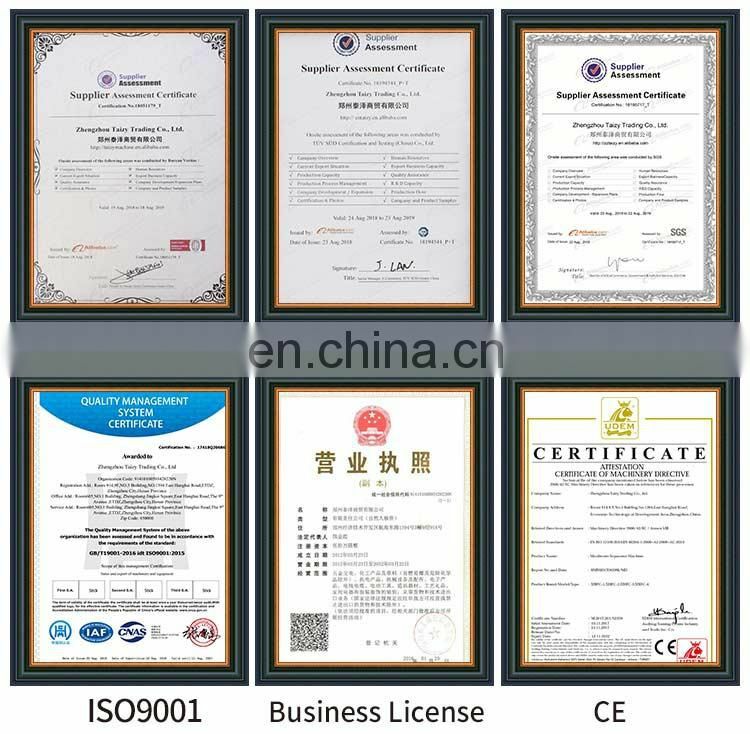 1) Compact and reasonable structure, high efficiency, low energy consumption. 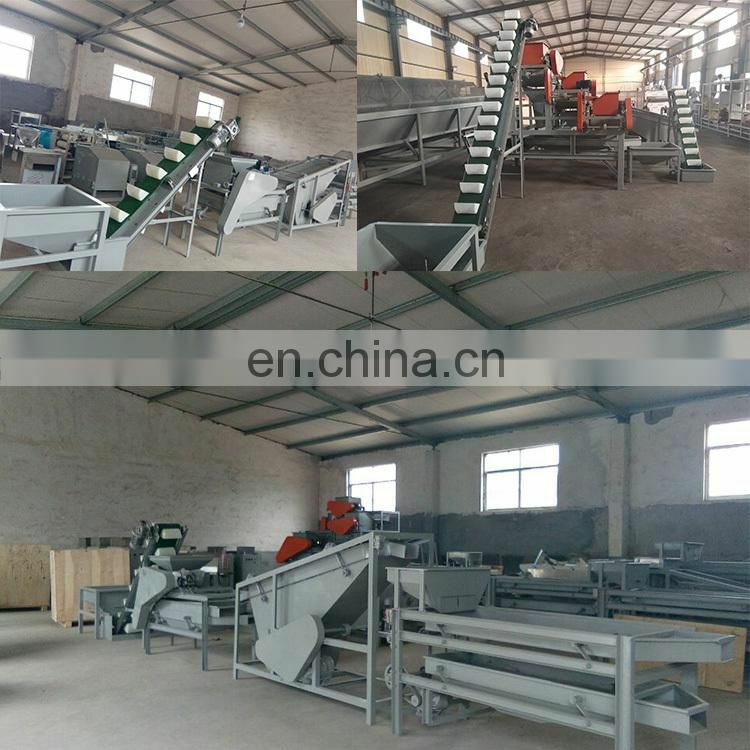 2)Convenient operation, reliable performance, automatic feeding, exact grading results. 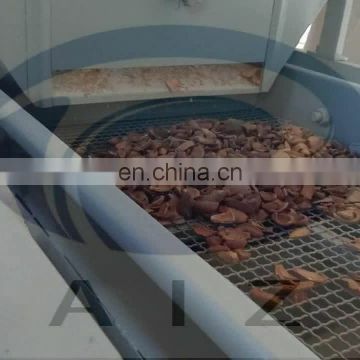 3)There is material returning plate under each layer of sieving body, avoiding the materials fall down to the lower layer without being sieved. 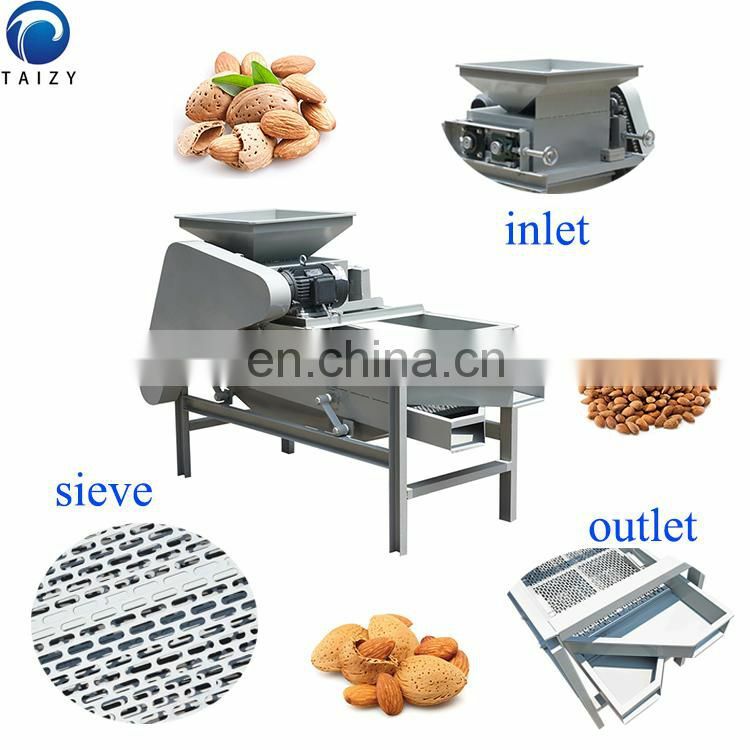 4) The inclination of the sieving body ensures the smooth discharging of the materials. 1)Evenly feeding ensures better sieving effect. 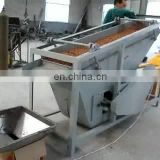 2)Please lubricate the chain and bearing regularly to prolong the service life. 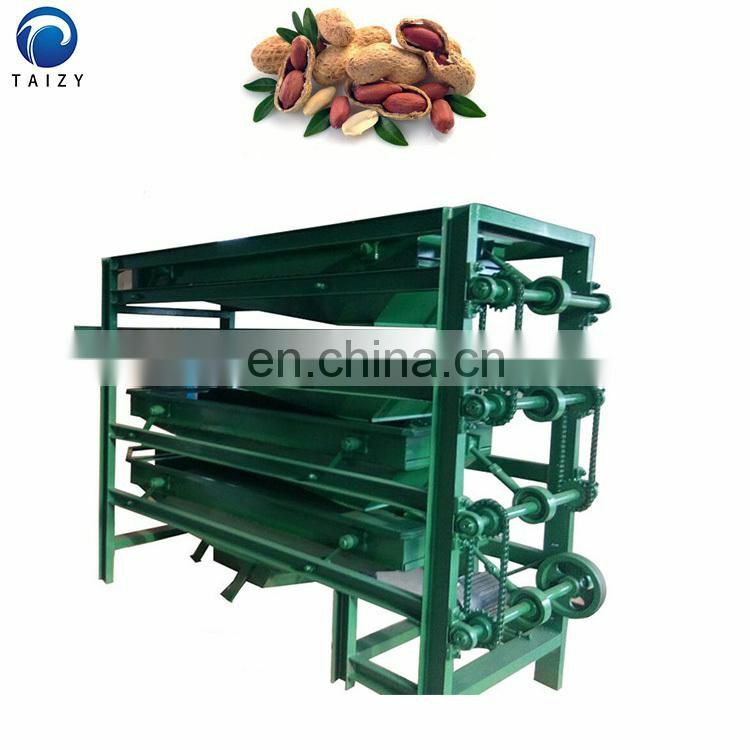 3)An additional set of sieves is equipped for replacement according to the size of the peanut kernel.